Goalkeeper Hugo Lloris will captain France against England in Tuesday's Stade de France friendly, despite his blunder against Sweden last week. England are resting first-choice keeper Joe Hart for the match in order to give Tom Heaton and Jack Butland some playing time. But France are sticking with Lloris, who was to blame for the 2-1 defeat in Stockholm, his poor clearance having given Ola Toivonen the chance to score a brilliant last-minute winner. France manager Didier Deschamps said on the eve of the match against England: "He will play, definitely. 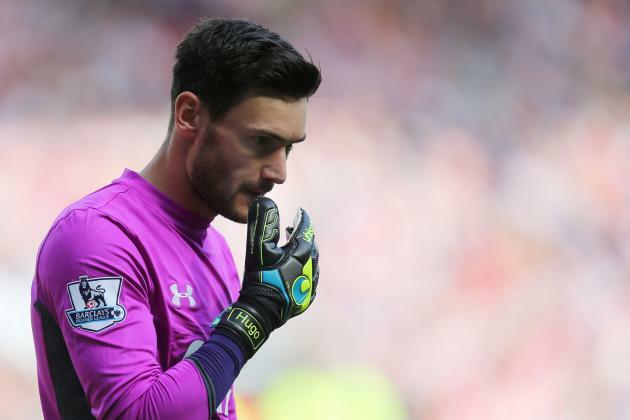 Lloris will captain. "Obviously, I've discussed things with him. "f he'd seen things differently, I might have changed my decision, but we both thought it was the best thing for him to do. It was clear. "We want him to go back on the pitch." Real Madrid defender Raphael Varane was asked if Lloris had needed support from his team-mates in the wake of his blunder and replied: "No, but I personally told him what I thought about him and that that this didn't change anything. "He will continue saving us in other games and we don't have to cry over spilt milk. The team has total confidence in him." Widespread changes are expected elsewhere in Deschamps' starting XI, with Monaco's rapidly rising star Kylian Mbappe in contention for just a second international start. Deschamps guided France to the European Championship final last year but results since then have been inconsistent, and he has warned his players that places are now up for grabs. "No one has any guarantees," said Deschamps. "It can happen that you're not in good form for one or two games, but there are quality alternatives available."